Streightup2014 August 19, 2015 . No Comments on Live Music Hawkes Bay. Categories: Live Music. At the Cabana!! !Talking bout my Generation. 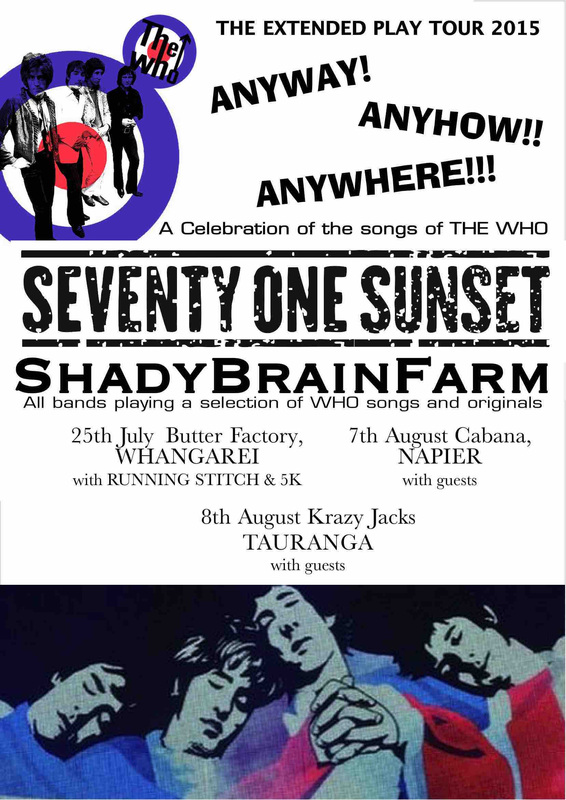 A Celebration of The WHO’s great Music with two wonderful Auckland Bands Shady Brain Farm and Seventy One Sunset. THE WHO: My Generation, Tommy, Quadraphenia, Who are you, Baba O’Riley, Pinball Wizard and More……..
Streightup2014 August 4, 2015 . No Comments on Live Music Live Bands Hawkes Bay. Categories: Live Music. Ive known Midge for 22 years and he rocks. after months touring locally and abroad. Most recently Thailand, Cambodia and Vietnam. Over 10 years of touring, four albums and averaging 200 shows a year Midge has developed an engaging blend of blues funk folk jazz based on his percussive, finger-­‐style guitar playing. $5 or $10 if your rich. COME AND SING THROUGH A REAL PA with real FOLD BACK in a REAL Music Venue !! $5 TUIS / EXPORTS / 51’s / and Wines !!! Streightup2014 July 9, 2015 . 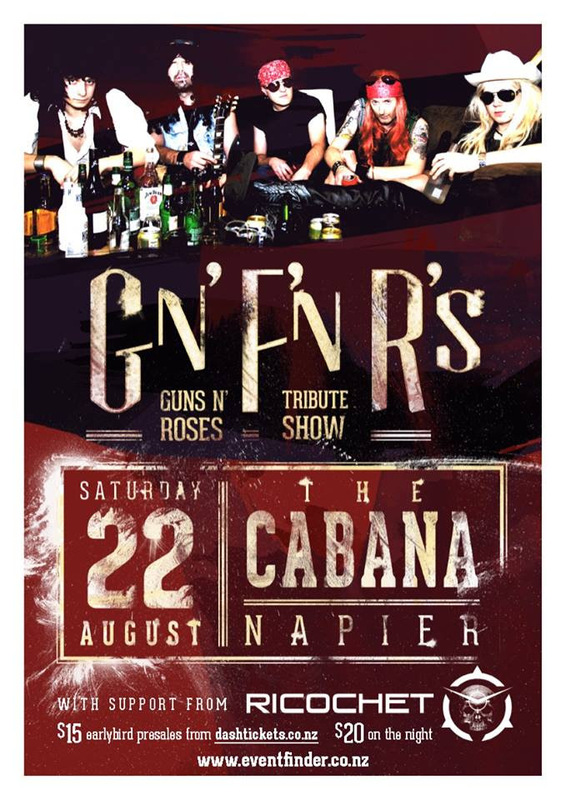 No Comments on Live Bands Live Music Hawkes Bay. Categories: Live Music. Thinking of stating a blog to advise people what’s on in the way of live music events. Streightup2014 November 15, 2014 . No Comments on What’s on Live Music. Categories: Live Music. Tags: Live Music.